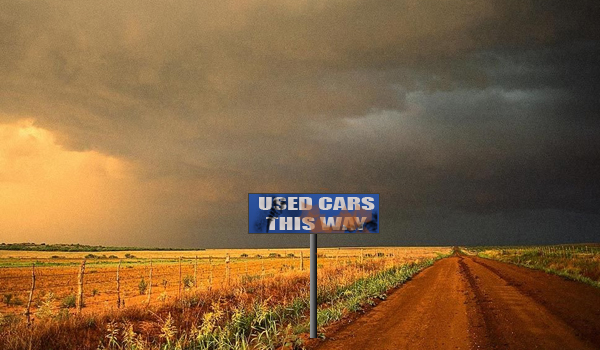 With the trade guides having decimated used car values recently the car selling business finds itself in somewhat of quandary. On the one hand dealers are telling us that the part exchanges they send to auction are struggling to make their reserves no matter how realistically they stand them in and on the other, when they want to replace ageing stock which has become non-profitable, there is simply no cheap option out there that appeals to the general car buying public. One dealer told us it is almost a lose/lose situation; we have to sell our cars cheaply to reflect the declining market but we are haemorrhaging money on our trade-ins. Then when we try to replenish our stock with cars priced at today’s money our buyers are telling us that there is either nothing suitable or the cars we do want we will end up having to pay through the nose for. How does that make any sense? Of course there are many theories about why this should be but the reality is likely to be a mixture of everything, low demand, high maintenance costs, inflation, low confidence and a lack of good quality retailable cars in the system. Throw in the fact that too many dealers are chasing the same cars even though there is not really any kind of demand then you have created the perfect storm. Certainly some dealers are telling us that when they have a suitable bit of stock with any kind of following it is getting sold but there just isn’t enough of this kind of stock to negate the losses being made on ageing stock which has festered and needs to be quickly replaced. Many experienced insiders who have seen times like this over many years insist it is just a case of weathering the storm and by managing inventories and attempting to turn stock as well as constantly monitoring retail prices the best dealers will be in a position to take advantage when confidence returns to the market. We can’t help but agree that keeping the basic principles and providing a positive customer experience will bode well in the long term, and as we have seen in our Car Makers Premier League this month it is easy to tell which manufacturers continue to appeal to the car buying public and those who can’t or won’t adapt their model range to changing demands. As a result these car makers can only expect more bad news over the coming months. I know if I wanted a position in car sales in today’s world I would not look much further than the top 5 who seem to have been there fairly consistently over a long period of time, must be doing something right eh? Mild weather, 4WD’s, self-registration and as Renault “consolidate” who will be next?